Content Curation channel is all about content curation tools and platforms. Some examples of content curation platforms are: Storify, Scoop.it, and Pinterest. Content Curation is the process of discovering, gathering, and presenting digital information that surrounds specific subject matter. 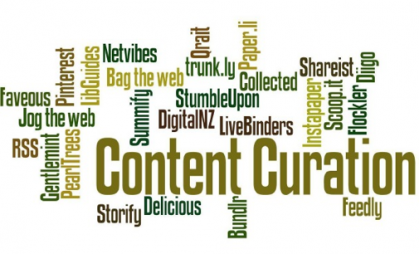 In Content Marketing, many still consider Content Curation a buzz word. But content curation is now becoming an important part of marketing strategy for many companies with a successful online presence. Welcome to the Content Curation channel. Discover what's popular and trending on Content Curation. Explore what's Trending Today, Trending in 2019, and Latest in Content Curation channel submissions. Trending is based on how many people liked the post and tagged the hashtag on the post. Be sure your post belongs to Content Curation or it will be removed by moderator. Share your news, thoughts, and ideas. Anyone can post on this channel as long as your post is related to Content Curation.